Algeria’s economy ranks among the most attractive in the North Africa and Middle East region in terms of gross domestic product, opportunities to invest and doing business. It offers a buoyant market for trade and industrial capacity-building. Algeria is the largest country in Africa and has the largest economy in North Africa. It also borders six neighbouring countries. As such, it has developed road connections with most of them, notably through what is called the “Trans-Sahara Highway,” which stretches north to south across the desert, from our capital of Algiers to Nigeria’s capital, Lagos. My country is endowed with huge natural resources, including oil, gas and minerals of all kinds, and we take pride in our modern communications networks, industrial infrastructure, dynamic hydrocarbon and petrochemical industries and our great potential in agriculture. A coastline of 1,200 kilometres and modern ports facilities, make Algeria a formidable gateway to neighbouring European countries, as well as the Middle East and Southern Africa. Over the past 20 years, the economy has undergone deep structural reforms to keep up with the needs for modernization and expansion, all with a view to gaining better access to foreign markets. The government has revamped legal and administrative frameworks and implemented measures to attract domestic and foreign investments through simplified procedures, a cluster of incentives and advantages that particularly encourage foreign direct investments. So far, the reforms have yielded good results. Partners are responding to our improved opportunities to do business, which are bolstered by our strong legal assurances when it comes to investment protection. The country is signatory to all international covenants that govern investments. One of Algeria’s main economic objectives is to take steps to reduce its economic dependency on fossil fuels, the hydrocarbon sector being its backbone. All efforts are geared toward finding alternative paths for diversification with keen interest in renewable energy and green technologies. Our foreign trade regulations have also been revised and modified with a view toward fostering diversification. The challenge, again, is to promote exports outside of the hydrocarbon business, which accounts for 93 per cent of total exports and, at the same time, to cushion oil-price fluctuations on the world market. The global value of Algeria’s foreign trade was approximately US$80 billion in 2018, with exports accounting for $38 billion and imports at $42 billion. 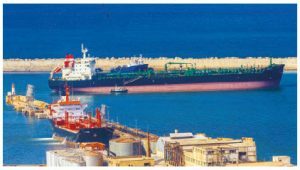 Besides hydrocarbons, Algeria’s other exports consist of fertilizers, chemical products, minerals, oil and agricultural and food products, while imports are mainly industrial equipment, food and agricultural products. Our major trade partners are located in the European Union (France, Italy, Spain and Germany), followed by China and South Korea. Surprisingly, trade with African and Arab countries is still modest. With Canada, two-way trade amounted to $1.5 billion in 2017. As such, Algeria is Canada’s largest trade partner in Africa. The main Algerian exports to Canada are hydrocarbons, which go primarily to the province of Quebec. Even so, there is a long tradition in economic and trade relations between the two countries, but there’s much more potential. Besides our traditional oil and gas exporters, new sectors worth exploring include agriculture, mining, food processing, solar energy and high-tech, to name a few. There is also much room for partnerships, especially in the mining industry, where opportunities are limitless. When it comes to flight connections, it is good to know that Air Algérie operates regular flights year-round from Montreal and, in the summer, Air Canada offers flights to Algiers. Our bilateral air transport agreement was recently amended to allow each company to operate 10 flights a week. One of the assets at hand is, without a doubt, the talented Algerian diaspora in Canada, which numbers 100,000. It continues to be a driving force for building a global partnership. Hocine Meghar is Algeria’s ambassador to Canada. Reach him at (613) 789-8505 or info@embassyalgeria.ca.